A few years ago I had the great privilege of working with Joan Rivers. Because Joan was famous for her “take-no-prisoners” interview style, I was concerned she might embarrass me on the interview, but was willing to risk it to get the attention. Unless you had ever met Ms. Rivers you would only know her for what you had seen on television — a bold, brash, raunchy comedian with no boundaries. If you heard her story then you’d know she was one of the great “whatever-it-takes” people of all time. When I met Joan Rivers I realized how little I knew about her. She showed up at my home in Hollywood at the age of 79 after a full day of work and a cross-country flight from New York to Los Angeles. She showed up face-lift positive, with the attitude of a 20 year old in love, grateful to be working, and demonstrated a whatever-it-takes work ethic. I missed the audition deadline. Will you be having another one? Thanks Grant for all that you do for us! Grant, I want to work for you! Please call or text me anytime: 323-451-2030. I have over 15 years of recruiting, training and managing salespeople. Great Read! Keep em coming!!! There’s nothing like opening an email from Grant to get you pumped up…. Great information!!!! I had to adjust my attitude regarding my performance at work. I’m starting to do what you suggest, treat my employer like a client!!!! Hey, Dianna! If your video didn’t get enough attention to make it through the first time, go ahead and submit another one! We will keep it on hand for future castings and recruiting. Good luck! I’m curious how you selected the candidates for your show.I know I would be a great asset to your company but because my video wasn’t good enough I wasn’t given an opportunity to even speak to you. I have sales experience, human resources experience, and always go above and beyond. In addition, I’m an avid reader and enjoy learning. I’ve helped a lot of companies go from good to great. 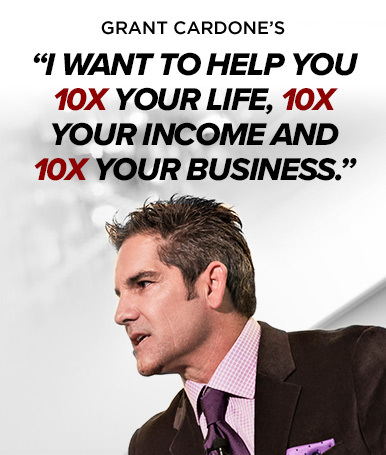 I have been very sucessful in my career and know I have the attitude it takes to work for someone like you and your 10x team. Great communication Grant. Everyone needs to read this! Thanks for your comments guys. Be great! Thank you Grant! those “nuggets” of info are priceless! Good article Grant. 16. Be Industrious 17. Be Competent. Straight out of The Way To Happiness. That was a great refresher. There are things we know but forget and hence I look forward to your emails. Thank you so much for your emails also together with your special team providing a excell opportunity in order to give the direction about persons need to re-explore themselves Better, everything its about mind set believes and Positive Mental Attitude which yes inside this Life Path becoming more the Bright flow to always get there Amazingly Successful. Walk in Beauty with Appreciation and Abundance.